This statement was made by the Coptic Orthodox Bishop Stephanos of Beba and Elfashn to international Catholic pastoral charity Aid to the Church in Need (ACN). As he described, Christians are being violently killed under the eyes of the international media. 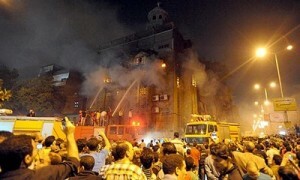 Also, for the first time in many years, churches are being systematically burned and destroyed. To make matters worse, local police are taking no action and nobody is punished, and the Egyptian media is not accurately reporting the incidents. “The facts are systematically covered up in order to keep the international media from reporting the truth and bringing pressure from outside,” the bishop complained. However, video films showing the massacre of demonstrators on October 9 were broadcast by the three television stations operated by the Coptic Church and have thus also found their way into the international media. 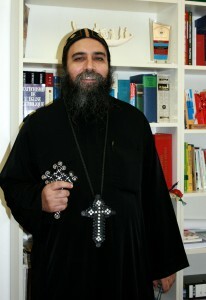 Bishop Stephanos went on to describe how problems are also experienced in day-to-day life, including calls that are often made in the media not to buy from Christian merchants or to sell anything to Christians. Christian businessmen are therefore faced with a struggle for economic survival. The Bishop warned against placing too much hope in the elections that are planned to take place in Egypt at the end of November. Bishop Stephanos underlined the need for mutual solidarity among Christians, pointing out that Jesus Christ said that Christians are all of one body, so that when one limb suffers, all the others suffer with it. He continued by saying that if peace existed, the problems Egyptian Christians are facing would no longer arise. Nevertheless, all Coptic Christians are “prepared for martyrdom, as at the beginnings of Christianity. Egypt has a total population of some 76 million, of which close to 12 million are Christians. The majority of these belong to the Coptic Orthodox Church. Nearly 200,000 are Catholics.